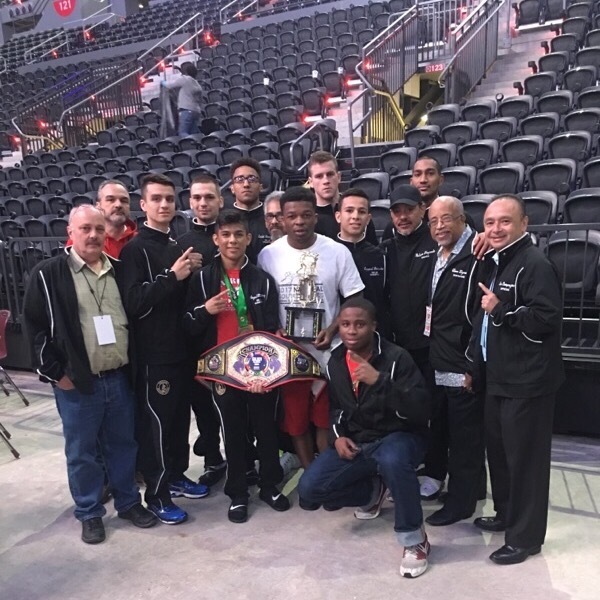 This past weekend Danny Vaz da Costa won the 2017 Chicago Lightweight WBC Amateur Tournament and brought home a beautiful belt. 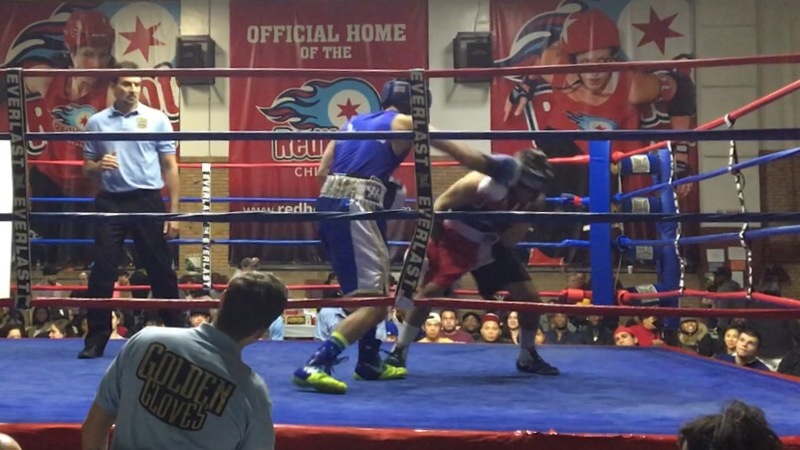 A week before the tournament started Danny fought Ryan Hamel in the main event of a show in Wheaton, IL. Hamel had requested a rematch after he lost their August 31th bout by disqualification. 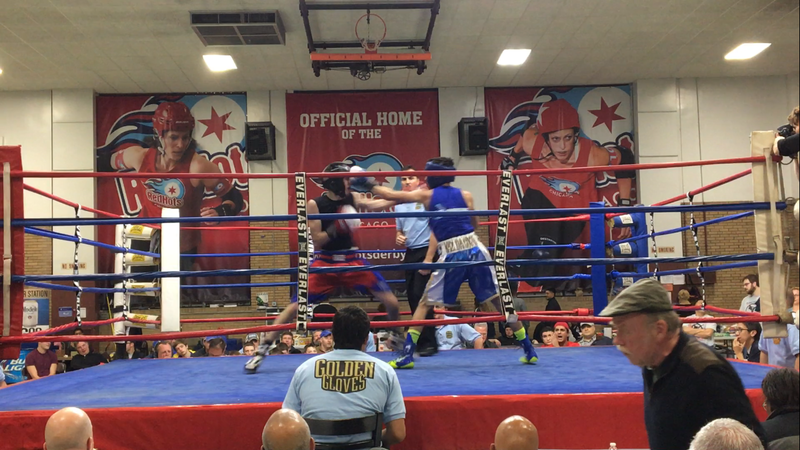 Danny boxed and moved well in the first round, but had a point taken off in the second for holding. 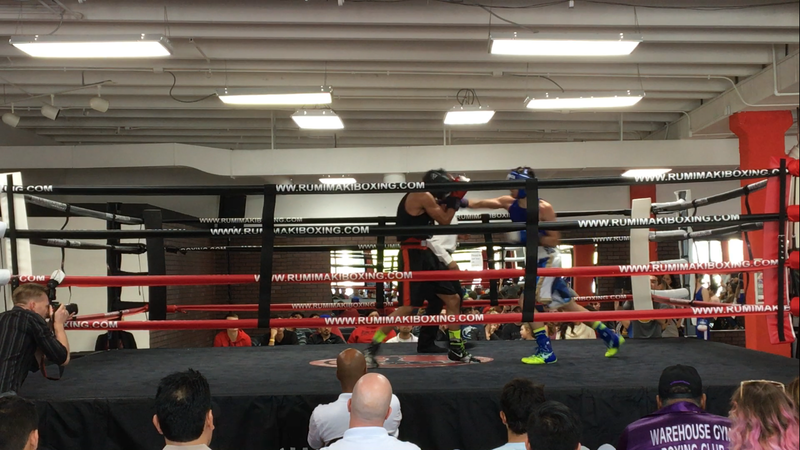 In the third round Danny landed lots of punches, including a massive overhand right (see photo) and ended strong. It was good preparation for the tournament. Danny won by split decision. On the first day of the “Green and Gold” WBC tourney his opponent was Danny Gomez, whom he had defeated twice earlier this year. Vaz da Costa scored often in all three rounds and won yet again by unanimous decision. Gomez landed fewer punches but swung hard, a style that will serve him well when the southpaw turns pro in 2018. 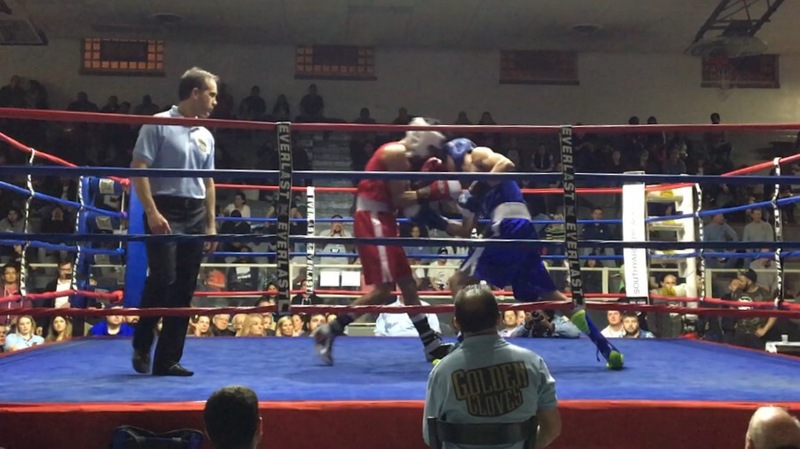 The lightweight final bout was against Marcellus Campbell, a boxer Danny had beat up in sparring recently. Campbell came out strong, as expected, hoping to catch Danny early with a big punch. That did not happen, but Danny clearly lost round 1. 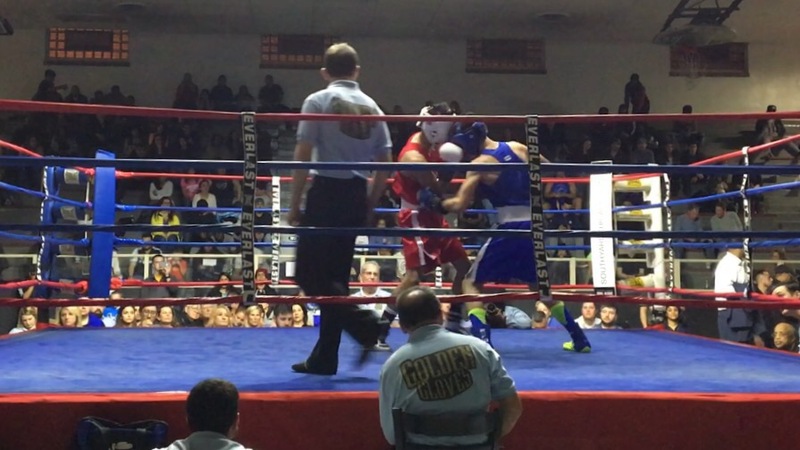 In round 2 Danny broke his opponent and gave him an eight-count. 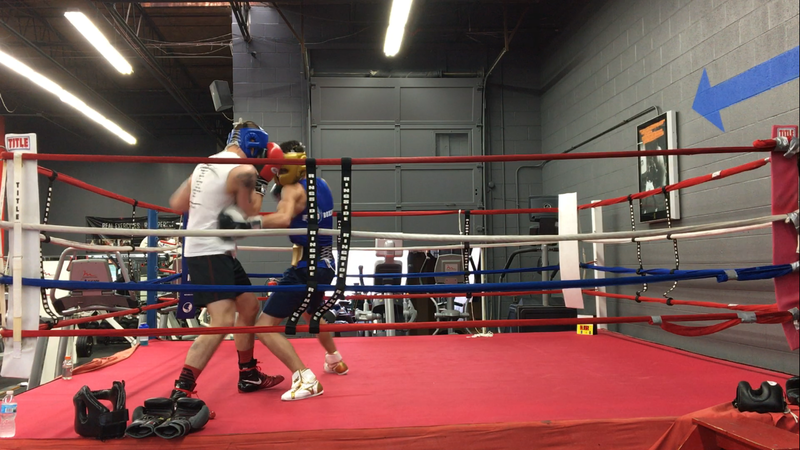 In the last round Danny landed clean left hooks, sharp uppercuts and nasty right hands. I thought the fight should have been stopped by the ref. 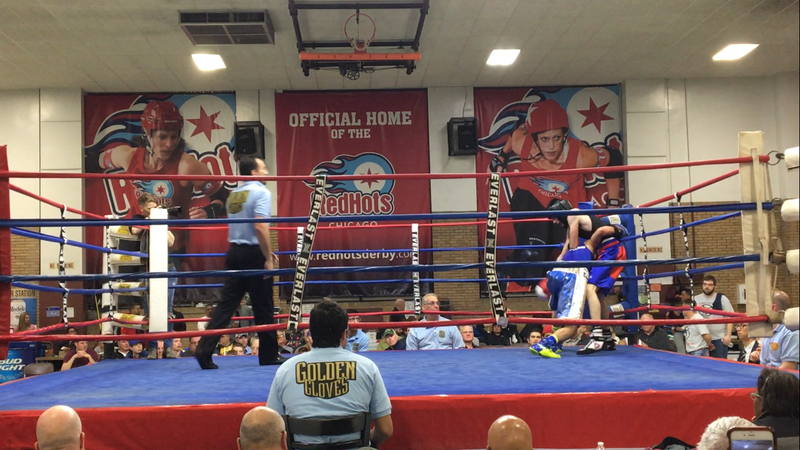 Danny won by split decision, probably due to a point taken off for lowering his head in the second round. Getting the WBC belt was a great way to end 2017, a year in which Danny learned a lot. I can’t wait to see what he’ll accomplish in 2018. 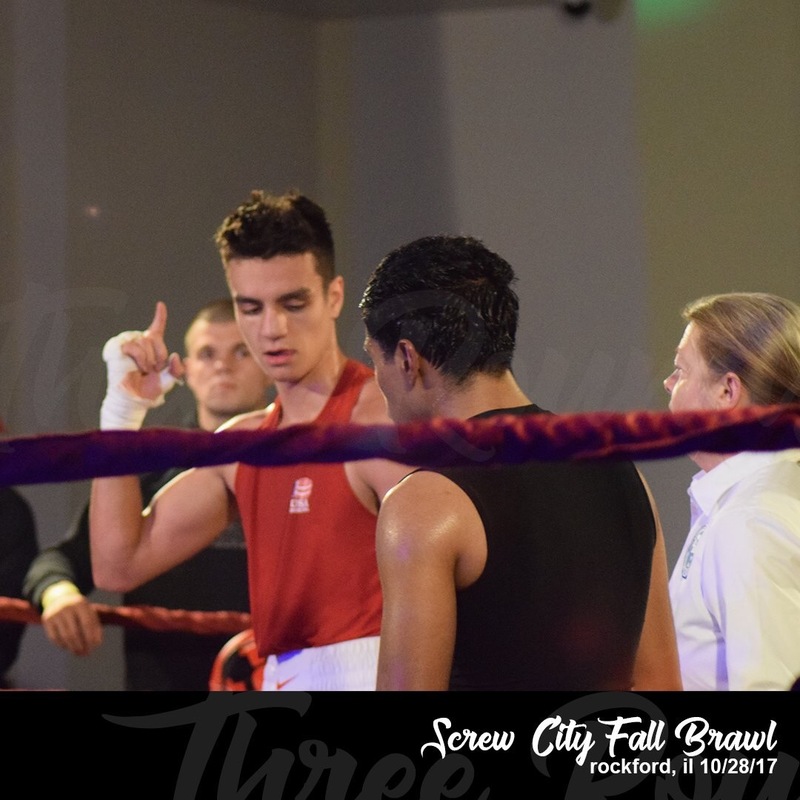 Danny Vaz da Costa has fought four times since my last post: he was robbed against Ryan Hamel at a local show, won an immediate rematch, lost to a fighter from Sacramento at the Nationals Qualifier and beat Christian Tecutle at the Screw City Fall Brawl in Rockford, IL. 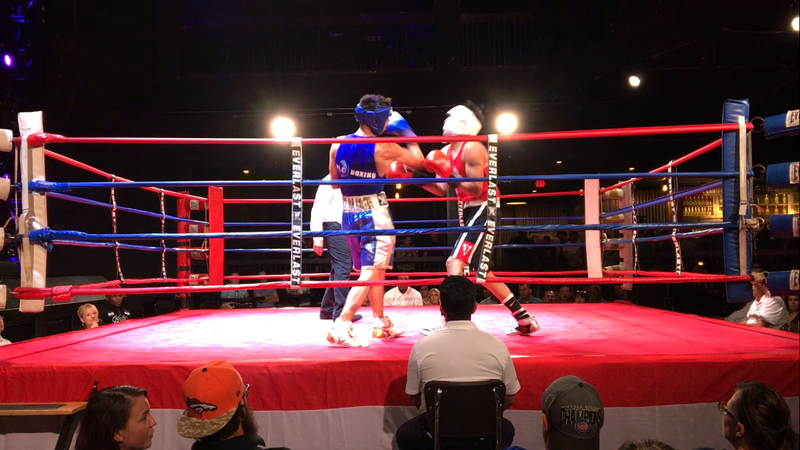 In their first fight, Danny dropped Hamel with a left hook to the head in round 1. Hamel did land a few straight rights after that, but Danny started slipping what turned out to be his opponent’s only punch and cruised to what seemed like an easy win. Incredibly, the judges gave Hamel a split decision. In their rematch, Hamel fought dirty. He must have felt he had to do that because he couldn’t possibly win fair and square. He punched Danny in the back of the head and pushed him through the ropes almost out of the ring. 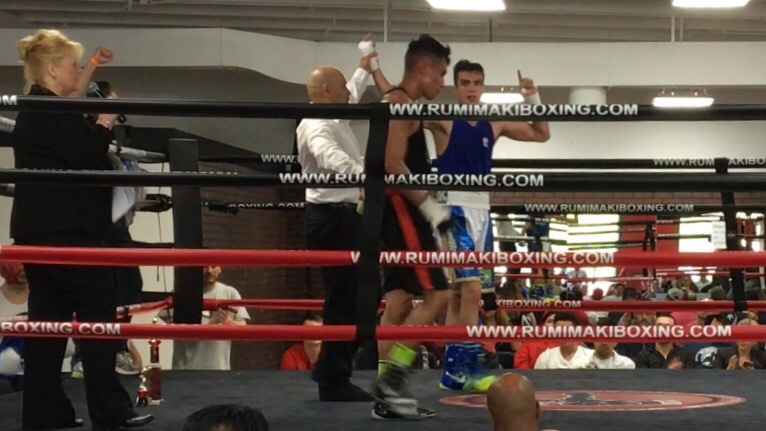 When the referee was giving him a warning Hamel talked back to the ref and was disqualified. 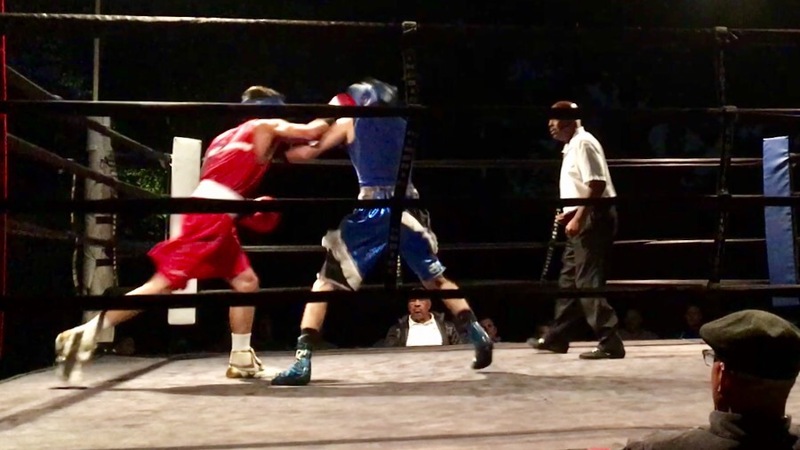 Danny put lessons learned in Chattanooga to good use in Rockford, IL, where he scored from outside and inside, including with multiple uppercuts like the one below. 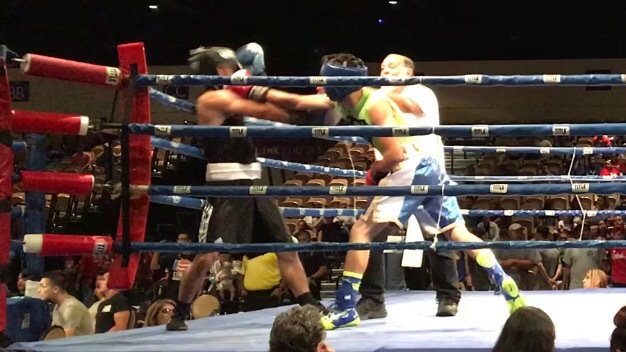 Danny beat Christian Tecutle of Torres Boxing by unanimous decision. Danny Vaz da Costa lost his May 30th, 2017, fight against Marcos Martinez by split decision. 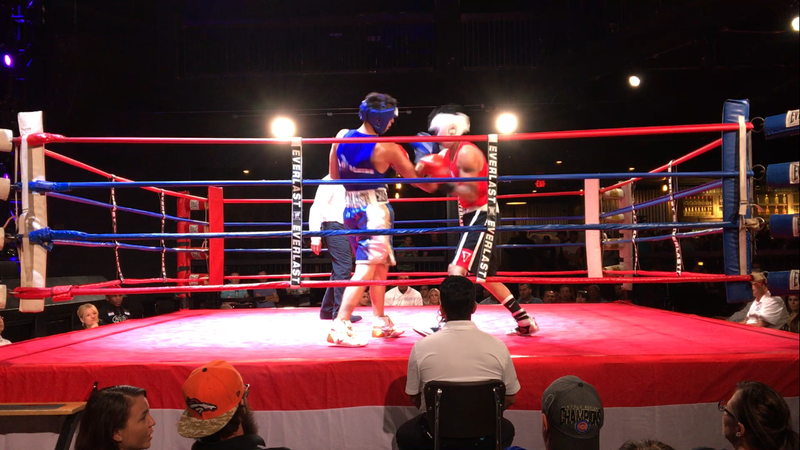 The rubber match between these two Chicago standout amateur boxers took place at Joe’s Live in Rosemont, IL, which is a happening venue. Watching the fight video afterwards, I saw Danny getting hit with some hard punches, but I also saw him land many more punches than Marcos did. Some of those punches, like the right uppercut shown in two sequencial fotos below, were clean, hard shots that, in my opinion, gave Danny a clear edge in a very close bout. Our disappointment with the result was short-lived, though. 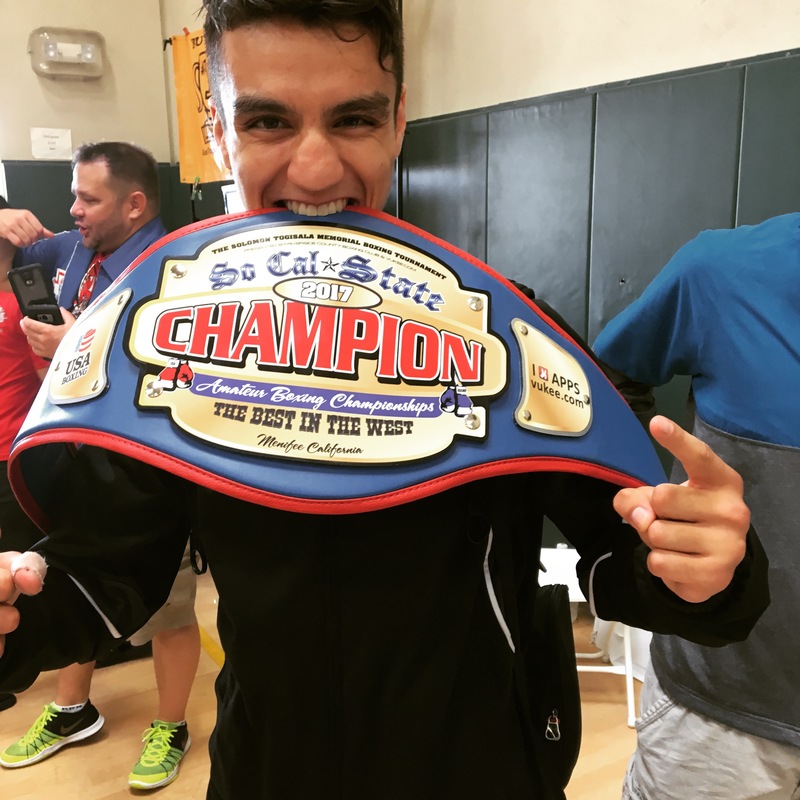 Ten days later we traveled to Menifee, CA, where Danny beat a tough Michael Aranda to win the belt of Southern California State Champion. The trip was a lot of fun, and we plan to go back to Cali next year to compete somewhere and also spend some time in altitude training at beautiful Big Bear Lake. Danny’s next fight probably won’t take place until August. The champ will spend several weeks working on improving key aspects of his fight game with FLO Boxing coach Osh Esho. 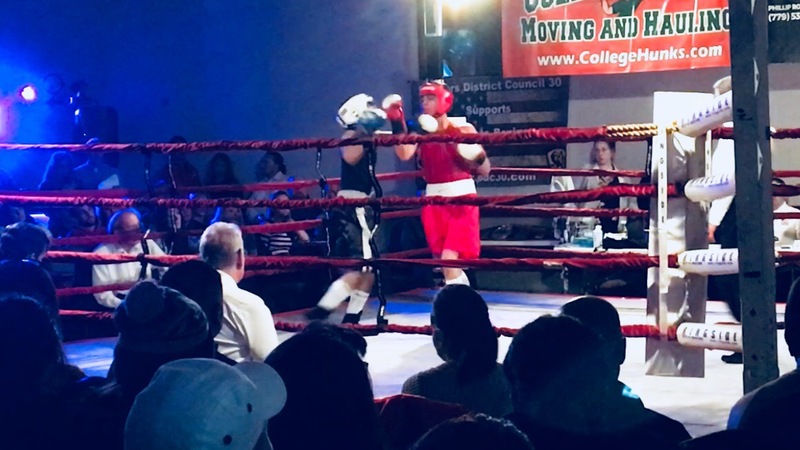 Danny Vaz da Costa of FLO Boxing won his second fight against Isaac Reyes of Rumi Maki by unanimous decision at the May 13th, 2017, Rumi Maki Amateur Boxing Show. 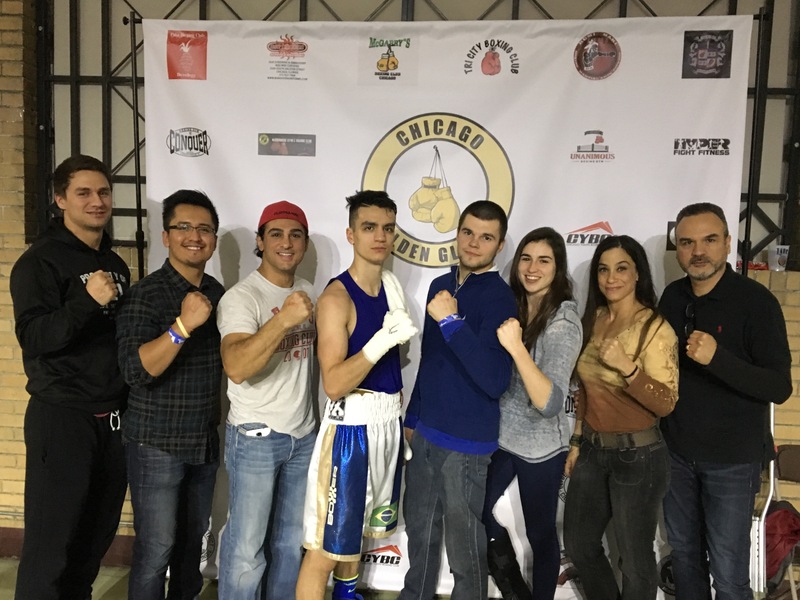 The two Chicago NW suburbs boxers had faced each other a year ago at the Chop Shop in what turned out to be a very one-sided affair in Danny’s favor. Surprisingly, Mr. Reyes requested a rematch the day after that fight. It took a while, but Reyes got his wish last week. He has improved and this was a closer fight than the first one. Danny often has slow starts, but this time he actually had a very good first round. It included a cross to the body that did not look very hard, but which seemingly paralyzed his opponent for several seconds. Reyes stopped throwing punches and did not defend himself very well during that time, but eventually recovered. The highlight of round 2 was a sharp, perfectly-timed check hook that made Reyes stumble back into the ropes. 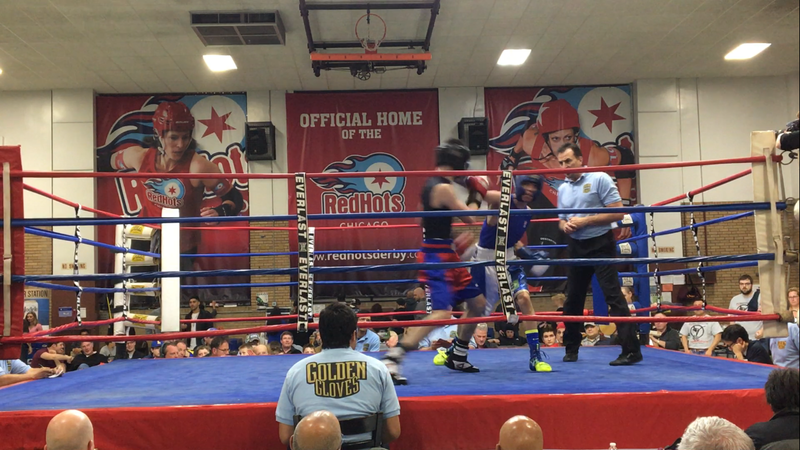 Danny also scored with straight rights multiple times and was able to get under most punches Reyes threw. Reyes did land a few good shots in the third round. Danny boxed well that day, and I thought he won all three rounds, but the judges gave the last round to the Rumi Maki fighter. 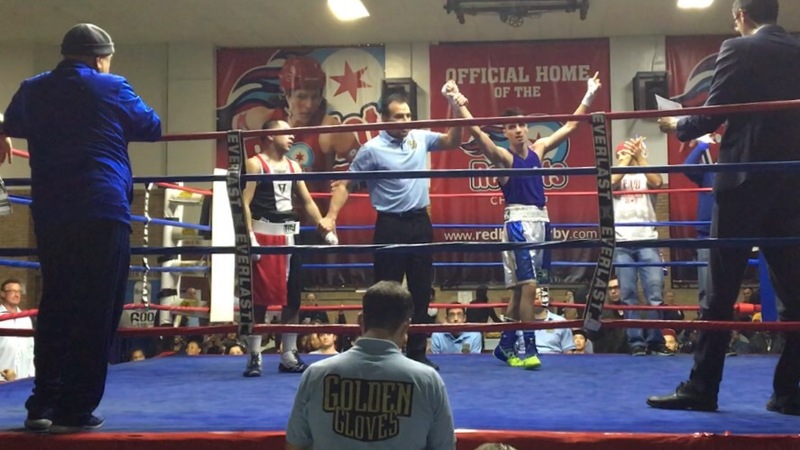 This was a good result for Danny because he had just returned from the National Golden Gloves in Louisiana, where he lost to Adrian Benton, a boxer from Cincinnati who is currently ranked 4th in the country. It was disappointing to be eliminated in the first round of competition, but the experience gained there was invaluable. Plus, Team Chicago was an outstanding group of guys. 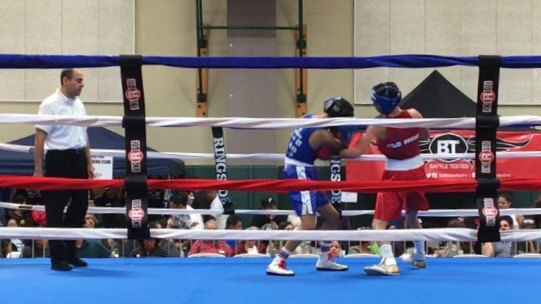 We took third place overall and our 108-pound fighter, Angel Martinez, won every one of his bouts by unanimous decision and became national champ. 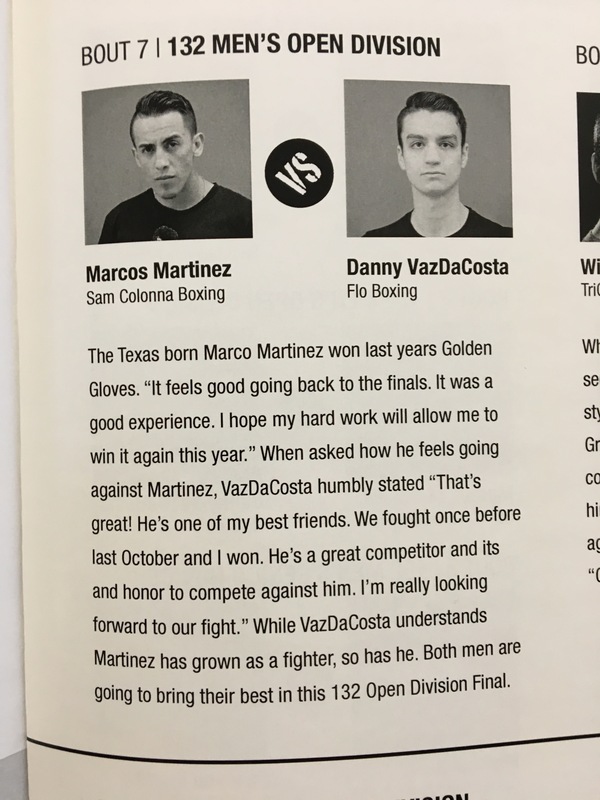 Next, Danny will have his much-anticipated “rubber match” against 2017 Chicago Golden Gloves champion Marcos Martinez on May 30th. That will be followed by a trip to the SoCal State Championship, which is open to fighters from other states, in the second week of June.